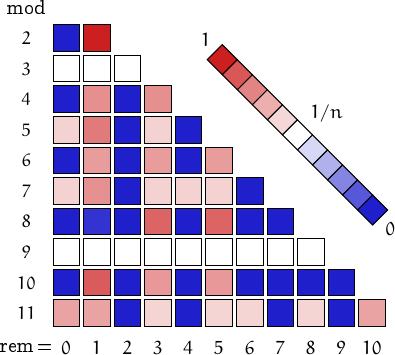 Jacobsthal numbers are defined by the recurrence , and for . has several combinatorial interpretations. For example, it is equal to the number of ways a rectangle can by tiles using dominoes and squares. 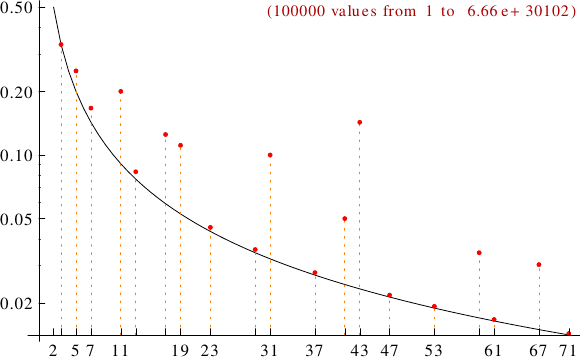 A graph displaying how many Jacobsthal numbers are multiples of the primes p from 2 to 71. In black the ideal line 1/p.